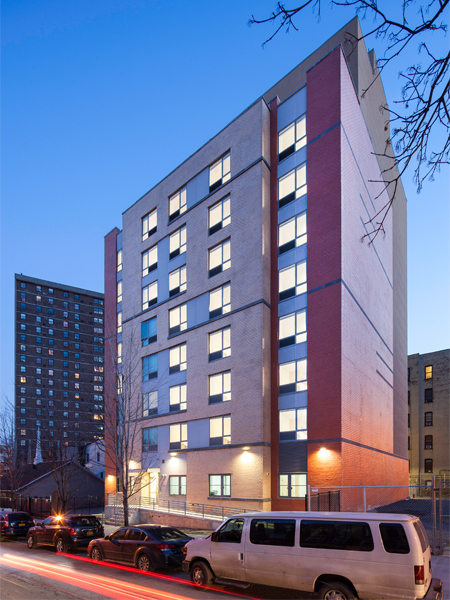 The Residences at 162nd Street is Urban Pathways newest permanent housing facility. Continuing to be at the forefront of housing New York's at-risk and homeless; Urban Pathways has opened their newest permanent housing residence at 162nd Street in The Bronx. "The Residences at 162nd Street" are the eighth permanent supportive housing facility operated by Urban Pathways. 162nd street opened it's doors in late December and residents have not stopped raving about the building and it's many amenities. Along with a full service laundry room, 162nd Street has a total of 86, fully furnished, studio apartment units. 55 units for formerly homeless men and women and 31 units for low income community residents. Also on the premises is a computer lab, backyard patio/sitting area, and community room. Case workers as well as a LPN (licensed practical nurse) are on premises and on hand for residents needs. If you are interested in touring our newest residence or please email development@urbanpathways.org.